They say you are as young as you feel, but wouldn’t it be nice to look in the mirror and see a face that reflects this! As we get older, nature can sometimes need a helping hand and that’s where non-surgical procedures can work wonders. As a man or woman, you deserve to look and feel your very best, and here at Ringwood Dental, we are here to help you in a virtually pain-free manner. One of the most efficient ways to improve your appearance and look younger is to smooth out the forehead wrinkles or “frown lines” and wrinkles around the eyes, such as “crow’s feet” or laughter lines. To smooth forehead wrinkles and lines around the eyes we use Botulinum Toxin. The procedure takes about 10 minutes with little or no discomfort to the patient. The lines will soften over as period of 7-14 days following the treatment. It usually takes around 21 days to see the full effects of each treatment, with results lasting up to 4 months. This procedure is one of the most popular cosmetic treatments in the UK and is increasingly in demand because of its effectiveness, convenience and perhaps most importantly, client satisfaction. As the skin ages, it gradually loses some of its collagen and fat. Skin cells divide more slowly and the inner skin starts to thin. Dermal fillers help to restore our skin to its former youthful appearance. Some of the most common lines that can be filled using dermal fillers in both men and women include nosolabial lines (nose to mouth), lip lines (lipstick or smoke initiated), tear troughs (tired, baggy eyes), marionette lines (mouth to chin). The treatment can take from 15-30 minutes, depending on how many areas are treated, and the effect of dermal fillers can last up to 9-12 months. Prior to treatment topical anaesthetic is usually used. Certain fillers are uniquely designed to create the beautiful looking lips you desire. Whether you would like to have softer, fuller lips or just to add a touch of volume to the lip border to give a more sculptured look, such fillers are the perfect treatment for you. In addition, as an oval facial shape if often associated with a younger appearance, augmentation in the cheek area and jaw recontouring using fillers, can enhance a youthful appearance. The Dermaroller is a revolutionary treatment that works by stimulating collagen and elastin production in the skin. The Dermaroller therapy can significantly improve the appearance of acne scars, ages and sun damaged skin, facial and décolletage lines and wrinkles and stretch marks. After the treatment, your skin will naturally repair itself, form new collagen and generate healthy new skin cells. It can take up to 6 weeks for visible results, and a course of 3-5 treatments is recommended for best results. Chemical peels remove layers of skin, stimulate collagen production and increase the rate of skin cell turnover, therefore leaving the skin with a more clear, youthful appearance. This is a popular procedure that is used to treat a variety of skin conditions such as acne, age spots, photodamage, rough texture, fine lines & wrinkles. The beneficial effects of the skin treatments can be enhanced by use of the medical skin care products and we are delighted to offer the complete SkinCeuticals range. 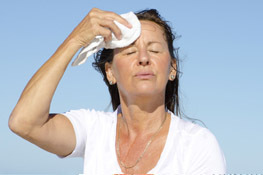 In addition to facial treatments, Botulinum Toxin can also be used to treat excessive sweating. Excessive sweating is resistant to all types of deodorants and odour controlling medications and can be emotionally challenging and socially and professionally disruptive. Botulinum Toxin is an effective, simple, safe and minimally invasive treatment for excessive sweating. The treatment involves a series of small injections that paralyze the nerves that stimulate the sweat glands and the effects last from 4-6 months. If you are interested in Dermaroller therapy or Chemical peels, please contact the practice on 01425 473938 to speak to a member of our team who will be willing to help you - we offer free, no obligation consultations. The prices depend on the product used and the number of sessions. Prices of medical skin products are available on request and in the surgery.